A new review of hospital care shows patient deaths at hospitals rise 8 percent in July, making it clear that medical errors increase when the new interns and residents begin treating patients. “The July Effect,” has been widely discussed and studied for years, but a new paper published in this week’s Annals of Internal Medicine stands apart as the first systematic review of past studies. The review found that in July, patient deaths rise in teaching hospitals as new medical students arrive and 20 to 30 percent of the most experienced doctors leave. The review made the finding based on the largest and best-designed studies of recent years. 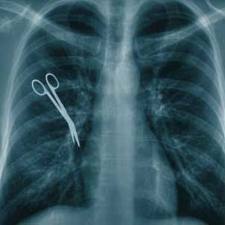 The mistakes are not limited to patients having surgery. Last year, The Journal of General Internal Medicine found that fatal medication errors increased 10 percent in July. The increase was greatest in geographic regions with a large number of teaching hospitals. Patients should use this review to make the best decisions for their care. If you are having a non-emergency procedure, ask your doctor to postpone it until the fall. If you must visit the hospital, bring a detailed medication record and ask a friend or relative to act as your medical advocate. Make sure you have an updated Health Care Proxy. Under the Massachusetts Patients’ Bill of Rights, you may also refuse treatment. The Patients’ Bill of Rights gives you the absolute right to refuse treatment or examination from a medical student or other staff members. Refusing treatment from a particular person, or from medical students, will not jeopardize your access to proper medical care. The Boston medical malpractice lawyers at Breakstone, White & Gluck are experienced in handling hospital malpractice cases involving medical errors, surgical malpractice and anesthesia malpractice. If you have been injured in a medical malpractice case, contact us today at 617-723-7676 or use our contact form. Tagged: "Boston medical malpractice lawyer", "July effect", "medication errors" and "patient deaths"